Love Fashion and Live! : Get Organized! Getting organized is one of my favorite things- mornings are so much easier when you know where things are- they fit and are clean and ready to be worn! This is the time of year to clean up and clear out! I like to do this project on my own, but I know some people like to have a friend to give a honest opinion! If you live in the Boise area- I am for hire if you need help! 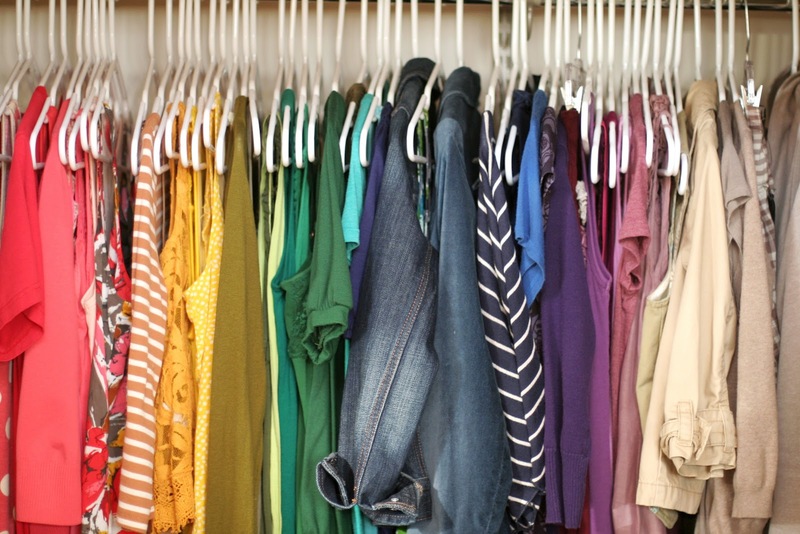 A lot of suggestions start with taking everything out of the closet- if you have a lot of items this seems too over whelming for me, and if you can't finish in the time period you have allotted then you have a huge mess on your hands! I have my closet sectioned into short sleeve tops-blouses, long sleeve, athletic wear, pants, shorts, skirts and jackets- blazers. I live where there are four seasons, so all of my winter clothing (boots, sweaters, heavy coats) are stored in the guest room. I actually have a fairly small closet, which is the only thing I don't like about our house. 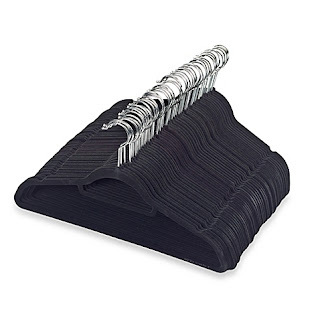 So I would start with a section and go from there- I bought the hangers below that you can easily find on-line, so that everything hangs at the same level and these hangers are very thin- so you can hang more in your closet- they are totally worth it! I have all of my sections sorted by color- which for me makes getting dressed easier. First thing to do is try things on- I know this can be a pain- so get in some nice underwear and get to it! Donate or consign anything that doesn't fit (THIS MEANS WHAT FITS TODAY, and NOT WHEN YOU LOSE THE FINAL TEN POUNDS! ) is torn or missing buttons that you can't fix, or stained. Make a a pile for clothes that fit, but need to go the the cleaners or be washed. The rest you will organize and put into the closet! If you are feeling ambitious, you can do the same thing for your children. I'd love to hear any suggestions you have for organizing tips that have worked for you!